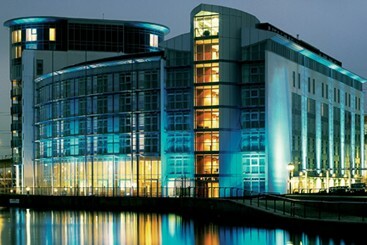 DoubleTree by Hilton has opened its newest property in London – the 260-room DoubleTree by Hilton London ExCel, located in the heart of London’s up-and-coming financial hub. Featuring 31 deluxe rooms and 35 suites, the hotel gives the brand more than 25 properties across the U.K. The new property offers views of London’s Royal Victoria Dock and is conveniently located near Canary Wharf, London ExCel, The O2, London City Airport and the Emirates Air Line Cable Car. Facilities include the 112-seat DoubleTree Restaurant, the DoubleTree Lounge Bar, fitness centre and two contemporary meeting spaces that can hold more than 90 people. Both spaces feature complimentary Wi-Fi and LCD screens.